Redesigning a platform to uplift the voices of movement workers. 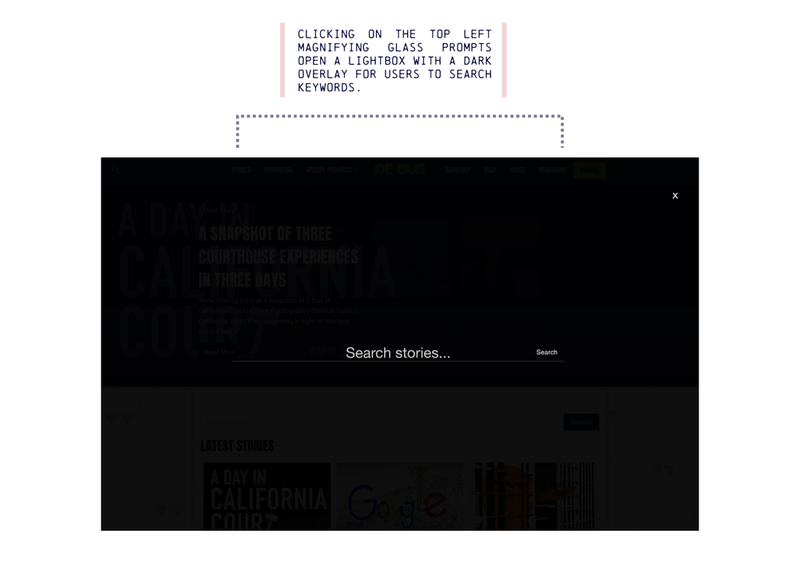 Redesign an existing media platform to showcase the stories of movement workers as well as communicate the breadth of work of an 18-year-old organization. 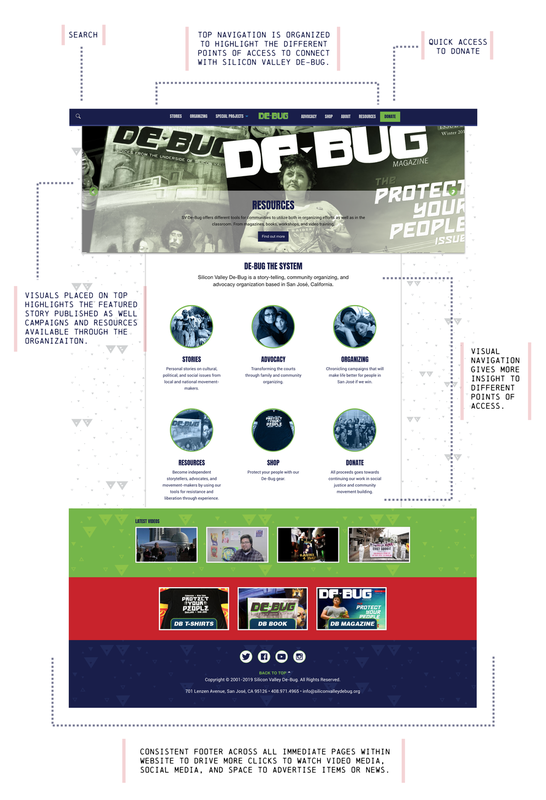 Silicon Valley De-Bug is a story-telling, community organizing, and advocacy organization based in San José, California. 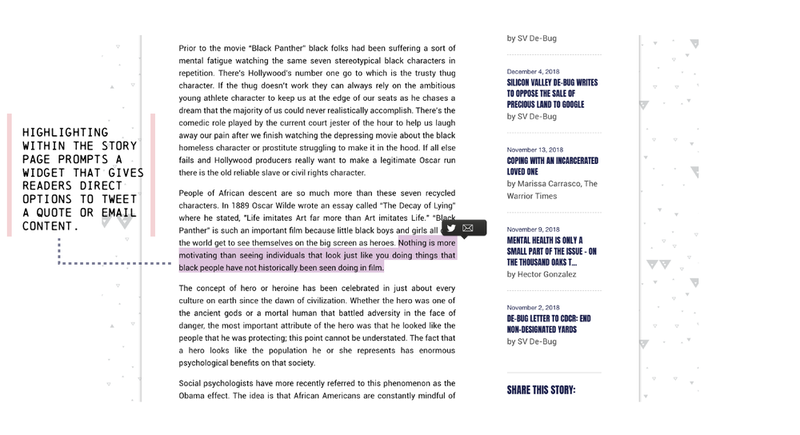 Since 2001, Silicon Valley De-bug has made significant strides in inciting and enacting positive change through the power of first-person narratives and multimedia. This community is vocal and continues to see victories as well as see new challenges to overcome during the unsteady current of our social and political climate. Just as the work requires for these organizers to anticipate the needs of the community, the online platform that uplifts this community also needed to do the same. Redesigning the old platform to meet the needs of the community required for the website to be intuitive to adapt to how users interact with media today. Some new functions for the platform include: responsiveness to different devices, clear navigation, points for easy and direct content sharing across social media, and easy search options that highlight the storyteller as well as topic.